What does it mean being a Mini Mother’s Help? A Mini Mother’s Help means being more qualified as an Au Pair and willing to work more than 35 hours per week. 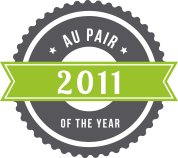 They have the same or better qualification of an Au Pair but they are not employed and will be treated as a family member. A Mini Mother’s Help has the same duties of an au pair (please see “Au Pair in England”) but is willing to work more hours. Each family will create a schedule and shift pattern unique to them. A Mini Mother’s Help will be only a live in position. For more details please see the above information about live-in Mother’s Help. Mini Mother’s Help would be offered a salary range between £100 - £130 per week.